Senior citizens in our region are exceptionally curious about the world and eager to engage in current events. That’s why we offer discussion groups at our Sarasota and Venice Friendship Centers. For example, there is a Wisdom Group that meets weekly to share their common experiences, and a “What’s Happening” discussion group, where the conversation about politics can get pretty darn lively. Check out our calendars for the latest schedule. Group conversations can also take on serious challenges. 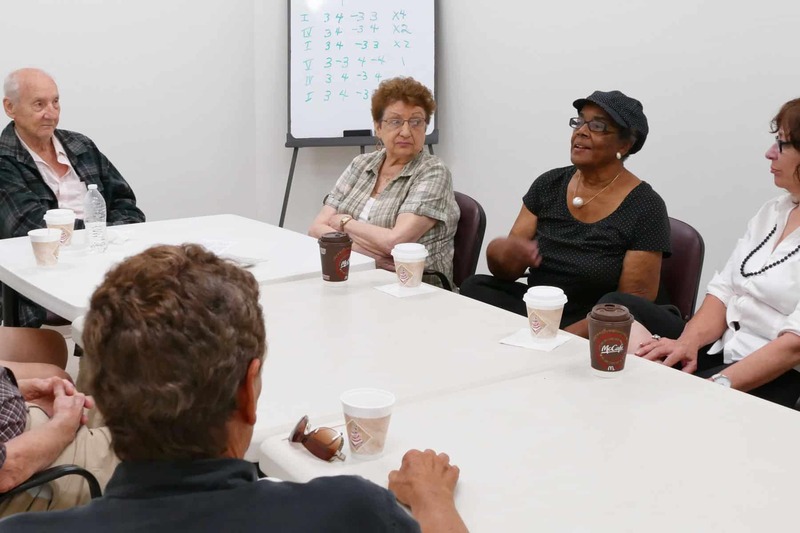 The DeSoto Friendship Center hosts a daily conversation group about current events, along with a monthly support group called Grandparents Raising Grandchildren and Other Relations Raising Relations. In Sarasota and Venice, we offer support groups for caregivers who are taking care of adult family members. Everyone has a story – full of lessons learned, obstacles overcome and joys to remember. That’s why we offer My Journey, an opportunity to tell your story, in your own words. Your audio interview can be conducted by a family member or a Friendship Center staff member. We will provide you with a CD recording of your story as a keepsake to share with family, neighbors, children and grandchildren. A suggested donation helps cover the recording costs. For information, call 941.556.3236.